Debt is Bad Equity is Good. Fees are associated with debt. Jill DeWitt: Oh my goodness. Hi. 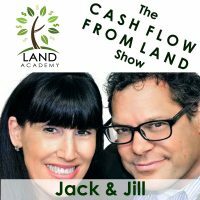 Jack Butala: Today, Jill and I talk about how debt is bad, but equity is good. Jack Butala: That goes against every single radio, audio … tripping your co-host up, and I’m all for it because it goes against everything. Jill DeWitt: You know what? When have you known me to go with the flow and just be a sheep, you know? Jill DeWitt: Again, boy, my parents wish I would go with the flow and be a sheep, but no, no, no, no. Jill has to do it her own way. Jack Butala: Well if that is bad, and equity is good, then how the hell can you ever get anything done if you don’t have any money? Jill DeWitt: Yeah, what do you drive around in? I don’t understand. Jill DeWitt: This is odd. Jack Butala: You will get the answer to that. Jill DeWitt: It’s not possible, is it? Jack Butala: You will get the answer to that question, Mr. Bender, next Saturday. Jill DeWitt: Oh thank you. Jack Butala: Before we get into this topic, we’re going to go ahead take a question posted by one of our members on that jackjill.com online community. It’s free. Jill DeWitt: Okay. Julian R. Asked, “Hi. I wanted to know if you also experienced … ” oh boy. I love this first sentence. “I wanted to know if you also experienced frustration with title companies.” Can we just stop there? Jack Butala: We could do a whole podcast on that topic. Jill DeWitt: I could stop there, but this is a good question. I’m going to read the whole thing here. “I have lost my second deal today, because the seller backed out on deals more than $5,000. Kids wanted to keep the land in the family even though it has not been used in years. It seems like the solutions/options are, one, keep losing deals.” That’s just part of the business, since the seller was not really motivated in the first place. Jack Butala: No, that’s not one. Jill DeWitt: “Two, close with a notary first, then get title,” but it kind of defeats the purpose. Jack Butala: That is a fantastic solution. Jack Butala: You can’t pay for publicity like that. Jack Butala: Can I start with a story? Jack Butala: I drove to Flagstaff and stayed for two days training … This is a lot of years ago. Training a First American Title group of people in an office up there, and they were experienced, because it’s a small town. They were just ready to have 30 to 80 more deals a month. They were staffed up for it and ready and it seemed like a perfect fit. So, I went up there and spent a whole weekend training them on our specific way of doing things, which is we send these mailers out. They’re going to call you back. What I didn’t train them on is how low the prices were. Back then, we were buying a nice property for $500, an old property, and sell it online. But it was a nice property, so we needed title insurance. And my concept was, if I can outsource this and get them to pay for title sheriff’s policy and have them close the deal. Then I don’t have to hire anybody. They just close all my deals. Jack Butala: Well that backfired, like, nobody’s business. Jack Butala: Because Sally Smith seller would receive a letter, and say, “Heck yeah, I want to sell this property.” It said right in the letter, “Call Janet at First American Title and here’s the number.” So, she did. And Janet at First American Title, said, “Okay, I’m happy to close your deal. So the purchase price is $500?” “Oh yeah, the purchase price is 500.” Then she would talk her out of the deal. Jill DeWitt: Oh no. Seriously? Jack Butala: That’s what’s happening here. Jill DeWitt: Yeah, I understand. Jack Butala: I’ll tell you right now, because title agents … Jill, you know this. Jack Butala: Title agents are empowered. After like five or six deals, they start … because they know. They’re the gatekeeper to getting this deal done, especially with no lender and no real estate agent to talk back to them. Jill DeWitt: Exactly, that they have to answer to. You’re correct. Jack Butala: So it becomes … That’s why one of the reasons you start at TitleMind, so that there’s one place to call, one central location, and one agent that you deal with that makes sure this doesn’t happen. So, we are very, Julian, aware of this problem. We’ve been on the other end of it. Most of my career, I’ve been on the other end of it. So my first reaction is your number two solution. You get on the phone with the seller, and you say, “Yeah, I’m happy to buy your property for 5,000 bucks. Good, you want to sell it? The notary will be there tomorrow,” and you close the deal. Jill DeWitt: You know my other suggestion? Jack Butala: You own the property, then you go get title insurance. Jack Butala: Jill, quickly, I’m going to finish this thought. Jack Butala: You run the risk of there is really, actually, title problems, and if they’re so fatal that it kills a deal, you might run the risk of losing that money or not having marketable title. But the way that we teach it, Jill, we’re all in there checking to make sure that they’re … We’re entitled. You have access to the tools, as a member, to do 98% of a what a title insurance, title agent or a title plant person would do. So, your number two solution’s great. Close it first, then get title, go ahead. Jill DeWitt: Oh, oh, oh. Pick me, pick me. All right. You know what my other thought is? Because I’m with Julian. Let’s just say, Julian, it’s new, early days. He’s not comfortable. He doesn’t have a bank balance of 300,000. It’s just sitting there, so writing a check for $8,500, hoping it’s a good deal, is not his thing, I would right now go with number one and number three, honestly, which is, number one, don’t keep losing the deals because you’re going to babysit the deals. I hate to say it, but that’s what I’ve had to personally do. I’ve had to bug the title agent. I literally, like on a daily basis, we check in with the seller and check in with the title agent. Basically, I’m doing the title agent’s job, but you know what? I want to go through that bad, I’m willing to do it. It stinks but that’s what you got to do sometimes. So that’s it. Then, number three is, man, we opened up TitleMind. We got so busy because we were doing our deals along with our members’ deals, and we just got overwhelmed with the response, which is clearly use … we all know why because of this question. So, I had to shut it down. I’m working on bringing it back, and staffing up, and making some changes to the products, so we have … Anyway, making it smooth for you, so we can do it for you, and we can … Basically, we’ll babysit those deals for you, you know, kind of thing. Jill DeWitt: And the main thing, too, at the very, very, very, very beginning of this though, I would have appreciate … You want to make sure that he really does want to sell. You want to kind of … I set out, too, you know? Jack Butala: My gut reaction when you started reading the question was, if they were backing out of the deal, maybe didn’t want to sell anyway. Jill DeWitt: Right. That might have been a wrong one. 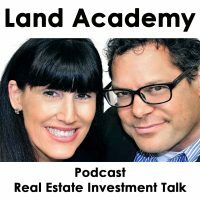 It’s like for example … I’ll give you a Land Academy example, about us and our whole business. When we were new and starting out, and people were finding us, and they’re saying they want to be investors, well, now, I’d get people that I’d just kind of like, “Okay, wait a minute. I don’t want to set someone up to fail. I want to make sure that they’re in this for the right reasons, they can afford to do this. I love their ambition, but I want to check all the boxes.” One of the questions I would ask them is, is your wife on board? Is your husband on board? Is everybody on the same page, because let’s be honest folks, no matter what hobby or business or even new car you want to go buy, you bring it home, and your wife’s not … or your husband or your partner is on the same page, it’s not going to go well. Jack Butala: Oh don’t go home with a new car and not tell your spouse. Jack Butala: Ever do that. Jill DeWitt: Unless it’s me because you’ve done it and it’s okay. Jack Butala: Would I pay cash for it? Jill DeWitt: I know. It’s totally okay. Jack Butala: … is what I mean. Jill DeWitt: So, you want to make sure they’re onboard. Jack Butala: That’s what the show is about, debt and equity. Jill DeWitt: Okay, so we’ll lead into this. So, this would be something that I would hopefully try to smoke out in the earlier phone calls that this family has confirmed that nobody wants the property. It’s you’re buying it or it’s nothing. Jack Butala: You can tell. I can tell. Jill DeWitt: It takes experience to figure that out. Jack Butala: I looked at three deals this morning that, for whatever reason, they were not out of my regular … They were out of the regular system for me, review deals, and the person that was doing the deal on our staff wanted to get them done. They were pretty excited about it. In all three situations, I green-lighted, because … not because of the actual real estate itself but because the sellers don’t care. Jill DeWitt: Right. It’s like these are the kids. Jill DeWitt: They’ve already inherited. They’ve had it for five years. They still don’t know what to do with it, and they could care less. Jill DeWitt: Yeah, just want to get rid of it. Jack Butala: And so we’re giving them a fair price and they’re just available aside. Jack Butala: The person that’s doing this in our staff is new. She has a lot of experience doing transactions as a transaction coordinator, and she’s like, her jaws on the ground over these deals. Jill DeWitt: Yeah. It’s such a safe, for me, asset over a safe full of gold. It’s much easier to transport, for one. Jack Butala: Did you ever pick up a gold bar? Jill DeWitt: Not a gold one. Jack Butala: I mean, you need two hands. Jill DeWitt: We’ve had those … plenty of those silver … how many ounces? How many pounds was that? Jack Butala: Oh no. 1,000 ounce. Jill DeWitt: We had several of those flow through our hands, if you will. Jack Butala: There’s still a lot. Jill DeWitt: … for a price. Remember, we accepted a silver bar to buy our program? Jack Butala: About years ago. Jack Butala: That’s still in the pill too, I think. Jill DeWitt: Should we get to the topic? Jack Butala: Yeah, we should. Jack Butala: Today’s topic, how debt is bad and equity is good. This is the meat of the show. So, if you don’t have any dough, and you want to get some stuff done in life, but you don’t want to take on any debt … I can hear everybody turning their radio off. How the heck can you get anything done if you don’t have any money? That’s a very, very valid point. You can save money at your regular job forever, and when you have $0.25 left, go buy a piece of real estate. That’s possible. I’ve actually done that, not with 25 cents, a little bit more than that, but I’ve done it. Or you can put yourself in debt, you can go borrow against your house, or borrow against your whatever, so that’s debt, but the title of this is Debt is Bad. Jack Butala: That’s what equity really is. That’s in a small scale, that’s what an equity partner is. On a huge scale, like an IPO, an initial public offering on Wall Street, you can go raise a bunch of capital by selling stock. That’s really what you just did with that buddy of yours who’s got a bunch of money. You sold him some stock in your deal. Or we just use a different terminology for whatever reason. Jill DeWitt: Thank you, like 50%, whatever, we split the profits kind of thing. Jack Butala: I think I put Jill to sleep, I think. Jill DeWitt: … and goof you up. Jack Butala: … send images to people. Jill DeWitt: So of what really is going on right here? Jill DeWitt: Oh. That would be funny. That would be really good. All right. So, I was looking at it as something different. Jack Butala: Good. I love this. Go ahead. What did you think? Jack Butala: Jill, one of the reasons that you’re here on this show is to be pretty and fun and laugh and stuff, because if it was just me here myself, then we just do a thing, we just go right dive into crowd. Jack Butala: Would crash and burn and die. Jill DeWitt: We’ve never done that. I don’t know. Have you ever done a show just you in the very beginning? Jack Butala: Yeah, that’s why no one knows about it. Jill DeWitt: See, I never did a show of just me. I’m kind of curious what that would be like. Jack Butala: It would probably be fun. It’ll probably be bigger than this show. Jill DeWitt: If we took jack out. Jack Butala: The Jack and Jill show without Jack. Tune in tomorrow. Jill DeWitt: Just Jill, that’s what it would be called. Jack Butala: Yeah, there we go. I like that. So, anyway, five minutes ago when you started this talk, it was about starting your life, not having any money, and not taking on debt. My first point is, a lot of people don’t even think that that’s possible. A lot of people, you think that, “Oh you have to and how can I build up credit without using credit? I’ve got to get myself ahead in the world and all that good stuff,” and I just hate it. I hate that. Jill DeWitt: That’s all conspiracy. Jack Butala: It is. I’ll tell you right now, we’re sending, okay, kid number two is going to college, and I’m helping him right now get all set up and to start. He has no credit cards. Thank you, right? He’s 18, he could, but he doesn’t. One of my concerns is, you know, they just prey on college kids. Jill DeWitt: I know. Absolutely. Jack Butala: So I having talks with him. Jill DeWitt: It should be illegal. Jack Butala: Right. It’s ruthless the way they camp on … They sit on college campuses and hand out t-shirts to get them to sign up, and the kids walk by going, “Oh cool. I like a t-shirt,” and the next thing, they’ll have a credit card they got a free t-shirt. Really? That was ridiculous. Jill DeWitt: Then if you never use a credit card, you throw it away as you should. You get a bill. Jack Butala: Your annual fee or whatever it is. You’re in there. Jill DeWitt: I’m having talks with him too. By the way, it’s a little bit off topic, but so is this whole show. Jack Butala: Off topic by Jack and Jill. Jill DeWitt: Yeah. About what databases you want to be in in life. Jack Butala: Oh that’s good, Jill. Jack Butala: That’s so good. Jack Butala: Yeah. The more you look up one topic in a browser, the more that the whole world is going to be skewed toward that thing. Jack Butala: So that’s very, very wise parental advice, and thank you for, so I don’t have to do stuff. Thank you. Jill DeWitt: You are very welcome. I’ve got your six, man. I’m co-parenting as fast as I can, as good as I can. You know what I mean. So, debt bad. I look at equity as just saving and doing it right. Every person that calls me, they’re so evil that they set up calls with me to talk about getting involved and being an investor and that kind of a thing, and most of them have been listening long enough, and they know, you know, “Let’s be smart about this.” But some of them, I have to remind them, “Be smart about this. Save it up. I don’t care if it takes six months or a year. Get $5,000, $10,000 in the bank and do it right,” because let’s be honest, like we’ve had on other shows, where else can you start anything with this little amount of money? And then, two, no matter what you’re doing, it’s not … I just use us as an example because that’s near and dear to my heart, but I don’t care what you want to do, but you got to save up and do it right. Going even to college. I’ll tell you, kid number two, we’re starting him out in community college. It’s a perfect fit for him. Jack Butala: Oh yeah. It’s way cheaper. Jill DeWitt: It’s going to solve everything he wants to do. He’s going to get an associate’s and then go on. Jack Butala: And then get a university degree. Jill DeWitt: Part of it is getting his grades up is the reason why … Hey, so what? He fell down a little bit. His grades aren’t what they could’ve been. He now knows that, so we’re doing it in a different path, and he’s looking at the bills going, “All right.” Even community college and living somewhere else, that’s expensive. Jill DeWitt: So, just do it right, go slow and methodical. And then when you have some money, set aside, make good decisions. We’ve been talking about it. Do your research. Don’t just jump on the first bandwagon that comes along. Make your money really work and be smart about all this and do your darndest to not have any debt, because the best way to lose sleep is having debt. I don’t care what it is. Jack Butala: So with either vehicle, what we’re talking about is raising capital in some way so that you can use it to eventually do away with it, right? Jack Butala: You don’t want debt in your whole life and you certainly don’t want to split equity on a real estate deal or anything else your whole life. At a certain point, you’re wasting resource. So with both situations, you need to, at some point, if you take out a car loan, it is going to get paid off, and then hopefully you can use a car for a lot of years without a car payment. It’s the same constant concept with real estate, transactions, or anything else. At some point, you’re going to have so much of your own money, because you utilized debtor equity that you’re going to do away with both. Now, on an average deal, you’re making twice as much money. Jill DeWitt: I have something to say about that. Like your car analogy, you think they’re going to pay it off and drive it forever. Oh how many people really do that? Very few. You know what they do? Well that car payment’s done, I paid it off. Now I can do another car payment. Now I want a new car. Jill DeWitt: Yeah, let’s just upgrade your car right now. [crosstalk 00:19:25] that’s all it is. Jack Butala: That’s what yesterday’s show was about. Don’t drink the Kool-Aid Man. Jill DeWitt: Yeah. So, my point about debt is, and using financing things, is you think differently. I have found that often, when you’re putting a credit card down, I totally believe in this concept, it doesn’t feel like it’s $100 or $1,000, whatever it is. Jill DeWitt: There’s something weird about that, versus when you’re putting your hard-earned cash out or Apple Pay … just kidding, but you know what I mean. But your hard-earned cash on something, you’re going to be like, “Oh I’m going to make a little bit different decision,” and you should have that decision all the time. You should think like that. Jack Butala: That’s a famous Warren Buffett quote. Jill DeWitt: Oh I’m the opposite. Jack Butala: What he means is, when I have an access to too much capital, without any repercussion, I’m just going to start making bad decisions. Jack Butala: It’s a roundabout way of saying the same thing. Jill DeWitt: Thank you. Okay, good. I understand. Did I make my point? Jack Butala: I think so, yeah. Jack Butala: Six or seven times. Jill DeWitt: You had to get me back. Jack Butala: Well you’ve done it again, you’ve wasted another 20 minutes listening to the Jack and Jill show. Join us tomorrow where we discuss 30 days later the results of that promo that Jill and I ran, the 30-days-later results. It’s actually relatively shocking. Jill DeWitt: Cool. And we answer your questions. Should you have one, post it on jackjill.com online community. Jill DeWitt: Dude, did I just beat a dead horse with that? Is that what’s going on here? Jill DeWitt: It’s okay to say it. Jack Butala: Yeah, sure, it’s fine. Jack Butala: You can say anything you want. It’s your show. Jill DeWitt: All right. I’m here to tell you the dead horse thing is totally a DeWitt thing, and there’s another DeWitt person that we all know that talks a lot. So, in the media now and then, so it’s totally a DeWitt thing. Jack Butala: You mean your little brother, the NASA rep, or whatever he is? Jill DeWitt: Yeah. Has he taken that yet? I don’t know what’s going on. Jack Butala: He’s State Treasurer of Arizona, Jeff DeWitt. Jill DeWitt: … beat dead horses. Sorry. Jill DeWitt: Hey, share the fun, if you like that, by subscribing on iTunes or wherever you’re listening, and while you’re at it, please rate us there. We are Jack and Jill.